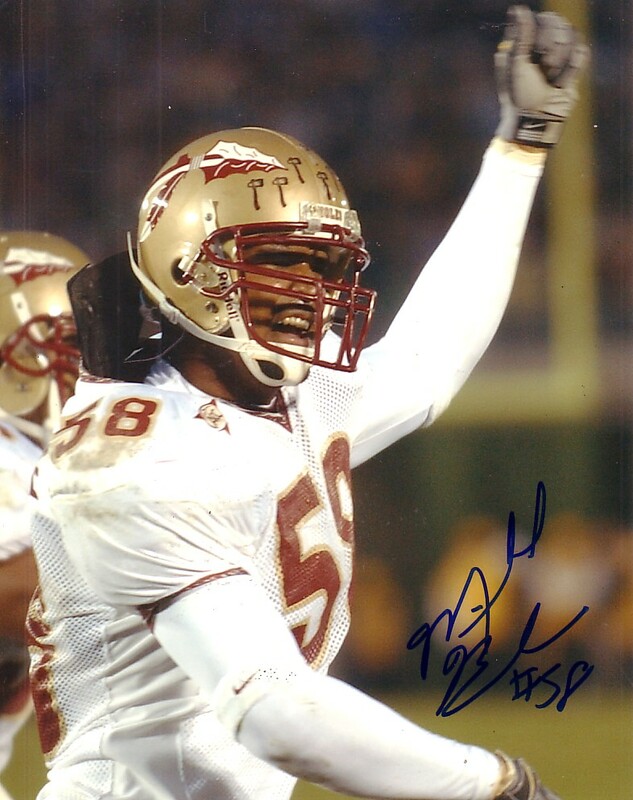 8x10 Florida State Seminoles photo autographed by former defensive superstar Michael Boulware, who also starred for the Seattle Seahawks. ONLY TWO AVAILABLE FOR SALE. With certificate of authenticity from AutographsForSale.com.